Guelph Auto Parts is an AC Delco Distributor and auto parts distributor having been in business for more than 30 years. Guelph Auto Parts provides a huge selection of Auto and Light Truck Parts. Guelph Auto Parts can get parts for all makes and models including car and light truck, some parts for heavy truck, some parts for motorcycles as well as tools and equipment. Guelph Auto Parts serves the local community, and prides itself in customer service. 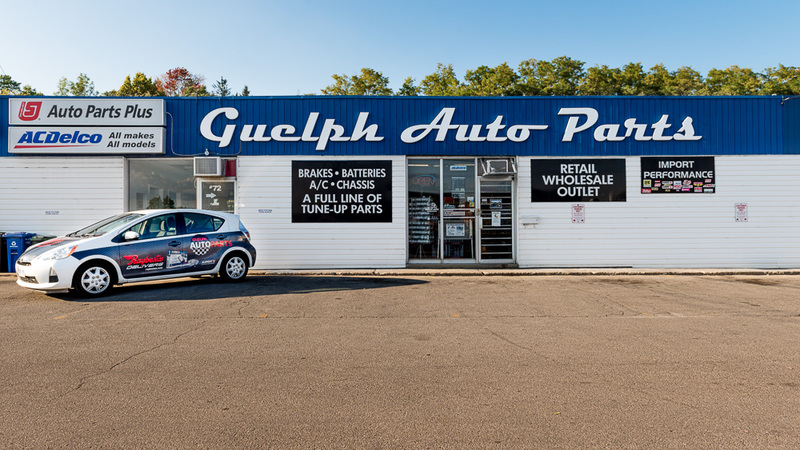 Located on Elizabeth street in the heart of the Ward, with two parts warehouses there, Guelph Auto Parts serves the public, garages and institutions as well. Guelph Auto Parts has programs to support our wholesale customers with training in business management as well as quality assurance programs and marketing program. Guelph Auto Parts also provides loyalty programs and technical training to its partners, to ensure their success. We pride ourselves in our customer service, we never leave anyone out in the cold and we go the extra mile. Guelph Auto Parts has won many awards for its service. It was voted the number one parts store in the Guelph Mercury, it won the Tribune Readers Choice for 2017 as well as having the won the award for the best shopping experience in NAPA, Robinsons. Use Guelph Auto Parts to make sure you have the parts you need for your next job! Learn More about the History of Guelph Auto Parts or our Team!